A new preserved F-104 Starfighter was noticed recently at Sigonella NAS. It's identity is not yet known but hopefully we get more information soon. We do not expect this is the old Fire practise F-104G MM6535 code 3-40 simpley because this aircraft was already very corroded and missing lots of vital parts. The first photos seen showed a typical F-104S/ASA prepared by the Grazzanise personell... so this confirms that it is not the old F-104G. 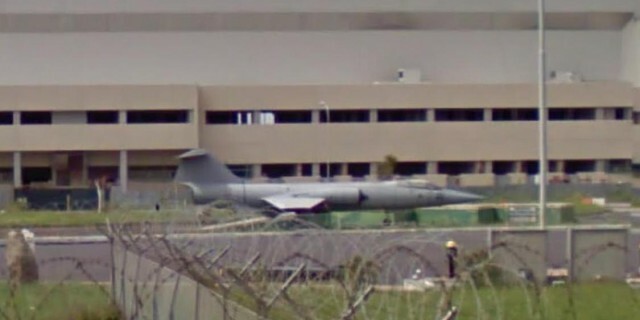 We are still trying to identify the aircraft which was first noted at Sigonella already in October 2009. 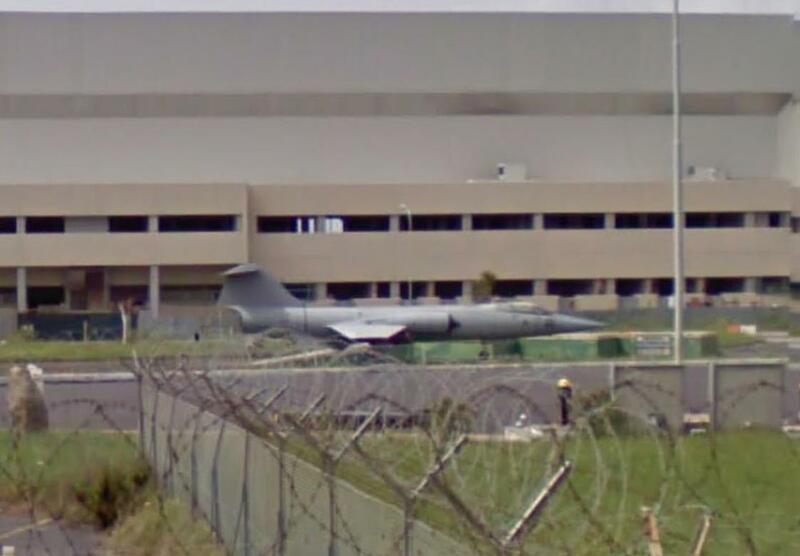 Photo shows the aircraft preserved at the gate via a google-street photo taken on 6 April 2011. We got information that this is most likely MM6926 which was restored at Grazzanize mid 2000s and dissappeared soon after. We keep this serial linked to this aircraft but will of course continue retrieving confirmation!! !